First of all, I wanted to take a moment and thank everyone for the kind words I received via FB, IG, email and comments on this blog. 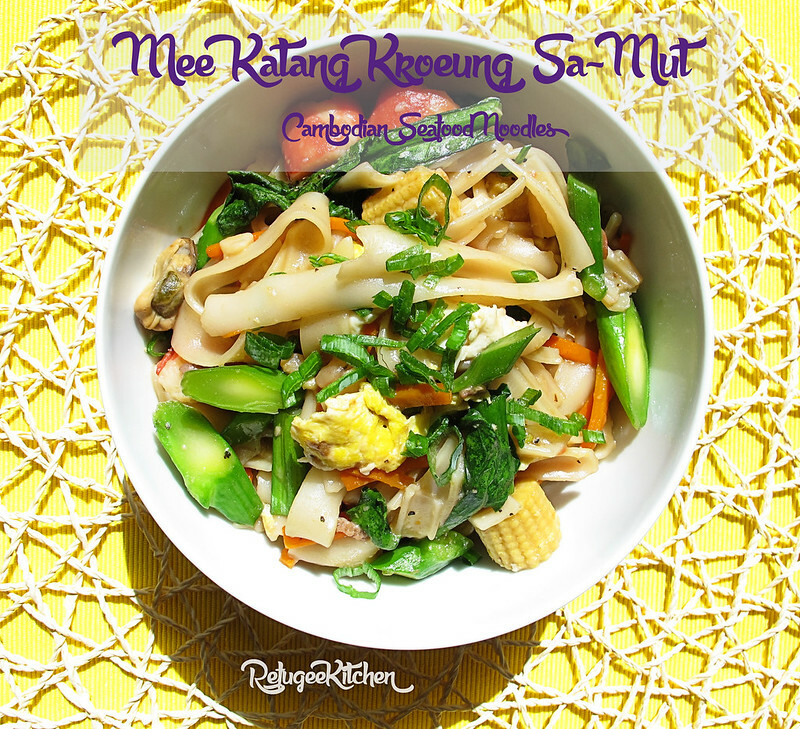 I adored all the encouraging words asking me to continue to write and post these recipes. Sometimes I don’t feel good enough, especially when I cruise through endless amazing blogs. Then I remember to never compare myself to others and to do just the best that I can. There is another reason I’ve been busy, my sister had a gorgeous baby boy 5 weeks ago! My toddler niece has been fantastic though she gets a bit jealous at times, so I make it a point to have weekly Niece/Aunty time where it’s just she and I, she loves all the attention she gets. When I can, I relieve my sister so she can shower her daughter with extra affections. 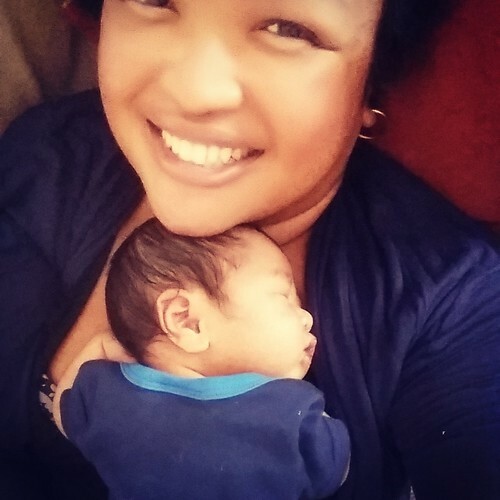 I don’t mind, I love the way my nephew smells, that new baby smell.. AHHHH!!! Look how adorbs we are, this boy will be a heart breaker, I can already tell. After he’s fed, my sister will hand him over for me to burp, soothe and most times lull back to sleep, yes she is VERY lucky to have me. I love the way he sleeps, it still amazes me, everything about him amazes me. I can’t wait to spoil him but I suppose holding him to sleep most times is probably spoiling enough for the moment, he’ll never crib train now! Sorry sis! As I tentatively step back into the blogging world, I’m experiencing all my old issues of cooking and getting so engrossed in it, I barely remember to stop to take photos or take notes of measurements. I’ll continue to work on that! The other day, my sister dropped by with the kiddies. Grandpa took The Munchkin (niece) to the park while I stuck around before work to cuddle my Nugget (nephew), I know, I have funny nicknames for them. My sister was getting hungry so I decided to whip up some easy noodles. I always keep a plentiful stock of dried noodles in my pantry, along with some seafood I had in the freezer. 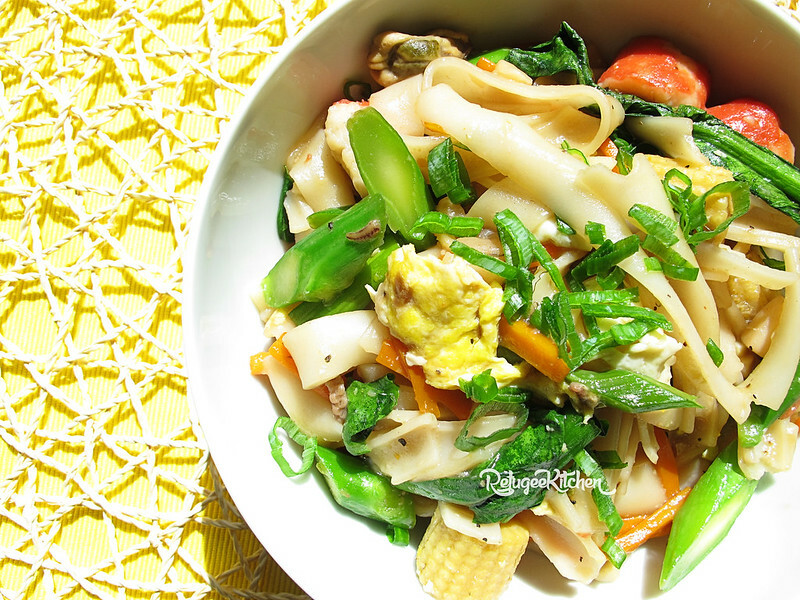 Mee Katang (Noodles in the Cantonese way) is pan-fried wide rice noodles with gravy, along with carrots, baby corn, katna also known as gai lan, scallions, scrambled eggs and typically beef, but today I used seafood because.. well, I had some in the freezer!. 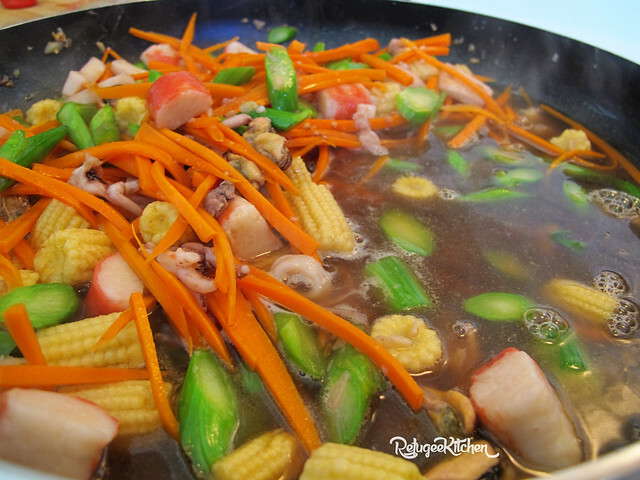 The flavor comes from oyster sauce and soy sauce with stock and thicken with a starch, I used corn but you can use tapioca or potato. If it seems like I have a lot of food in my pictures, it’s because I doubled the recipe this particular morning. 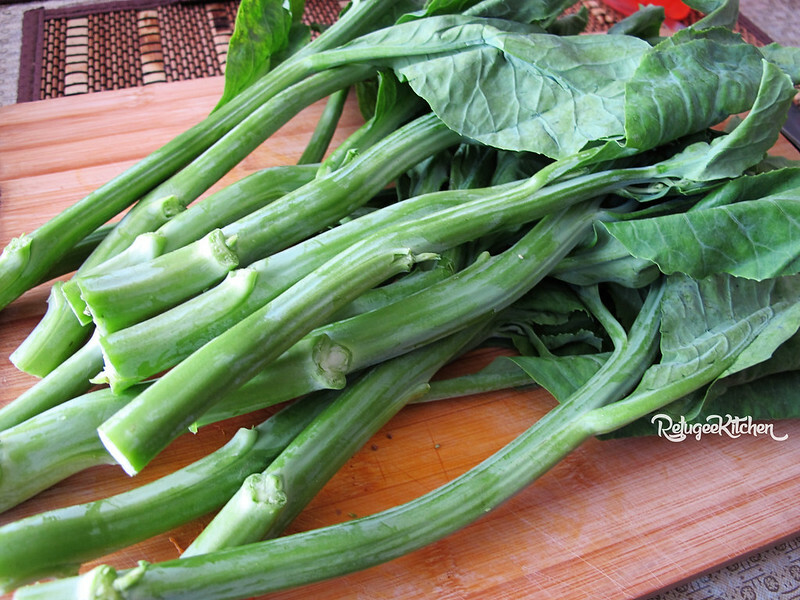 Katna in Khmer and Gai Lan in Cantonese is also known as Chinese Broccoli or Chinese kale. It is a leaf vegetable featuring thick, flat, glossy blue-green leaves with thick stems and a small number of tiny flower heads similar to those of broccoli. The flavor is very similar to that of broccoli, but slightly more bitter. 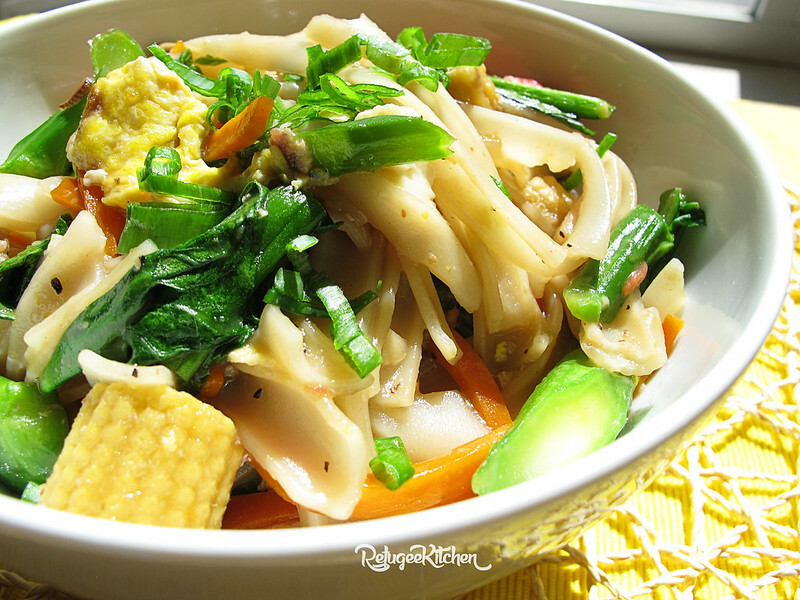 Its a very popular vegetable in Asia and quite delicious! 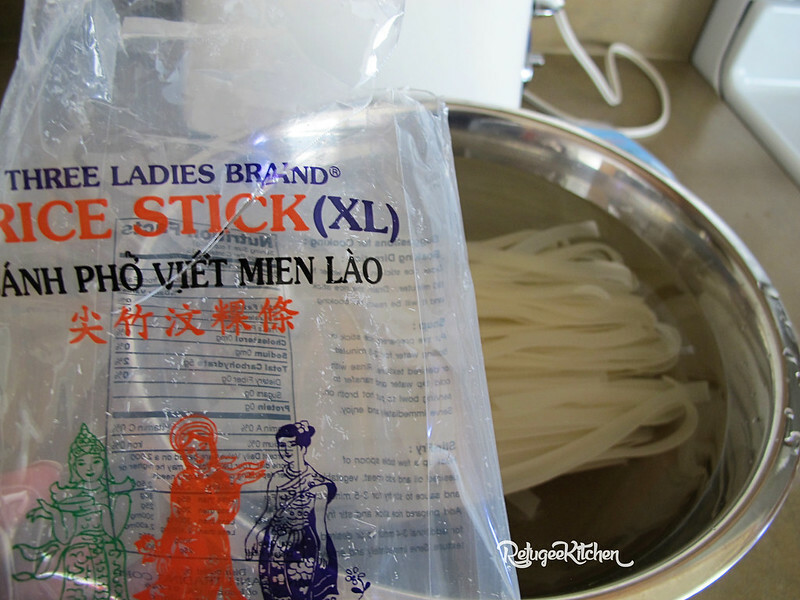 8oz Dried Rice noodles, reconstituted in hot water for 25-30 mins then drained. 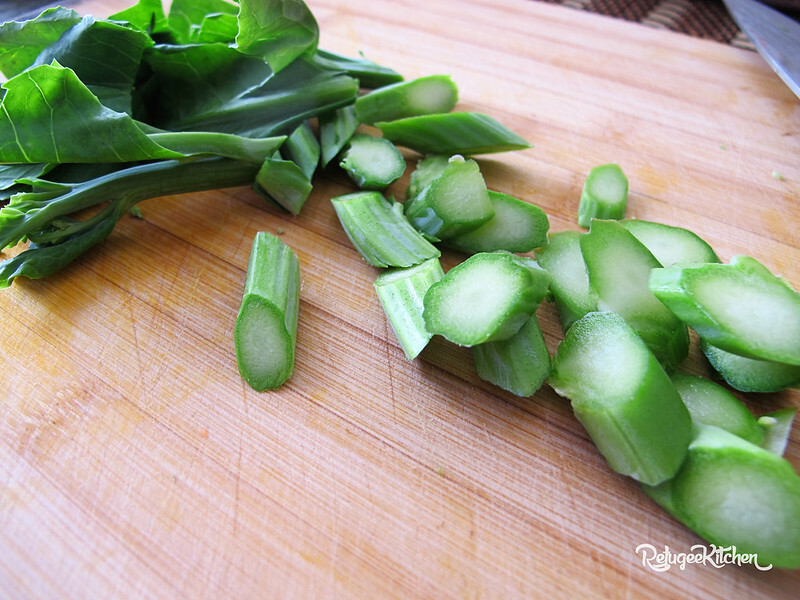 6-7 stalks of Katna/Gai Lan, 1/2 inch diagonal slices and leaves cut in half, separate stems and leaves. 1. 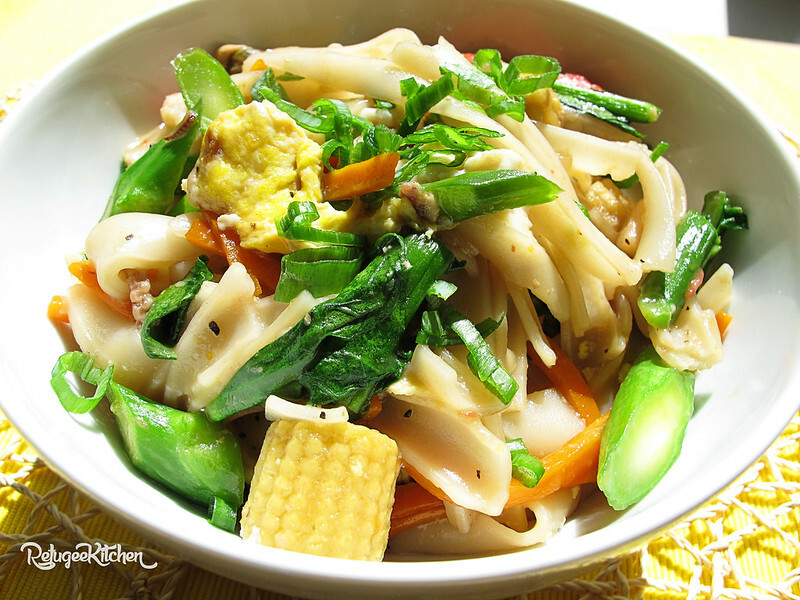 Soak dried noodles in hot tap water for 25-30 mins or until pliable. 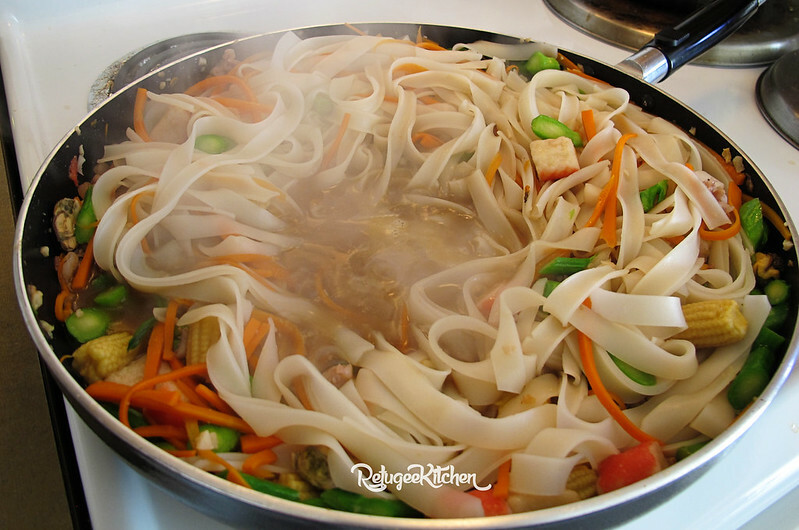 You can skip this step by using fresh ho-fun noodles. 3. 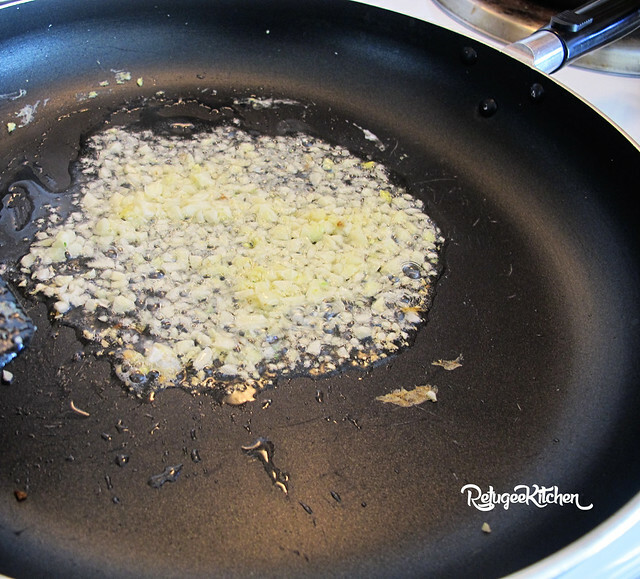 Over medium heat, add 1 tsp oil, Saute 1 tsp of garlic until slightly brown. 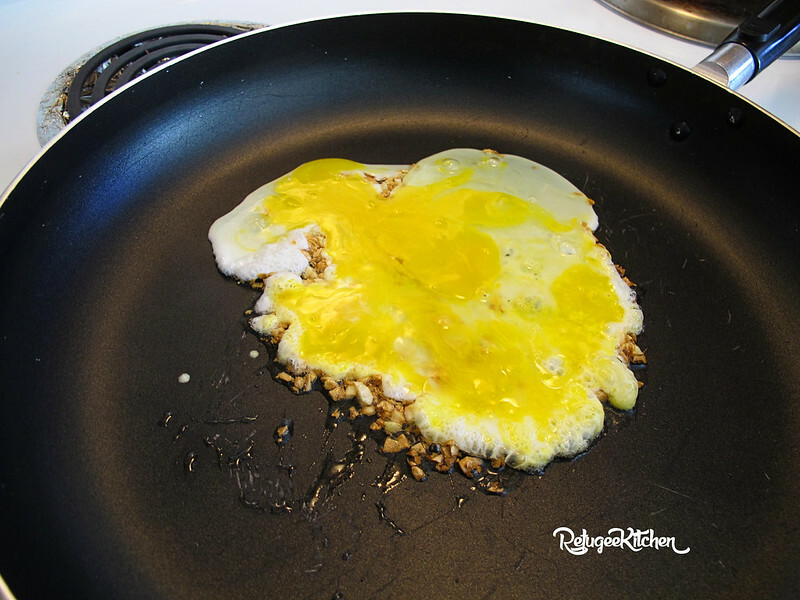 Add eggs and scramble lightly, remove and set aside. Put sauce together, set aside. 4. Over medium high heat, add 2 tbsp oil and rest of garlic. 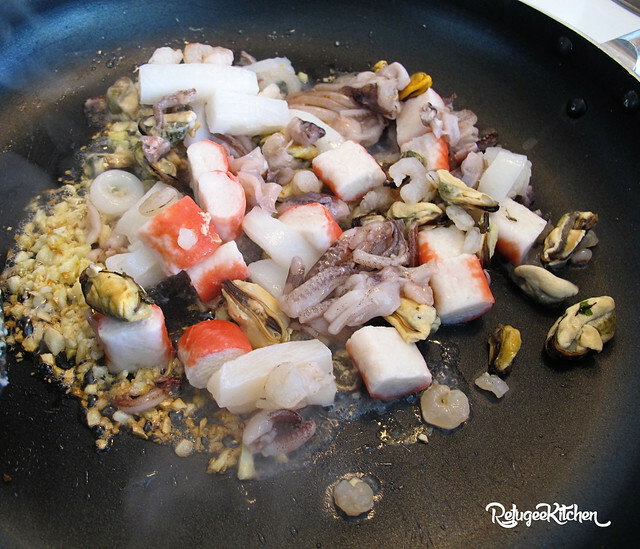 Saute until fragrant, add seafood, cook for 1 minute. I have a mix that I usually keep frozen in my freezer for quick meals. I had imitation crab, shrimps, mussels, calamari and scallops. Feel free to use any seafood you’d like. 5. 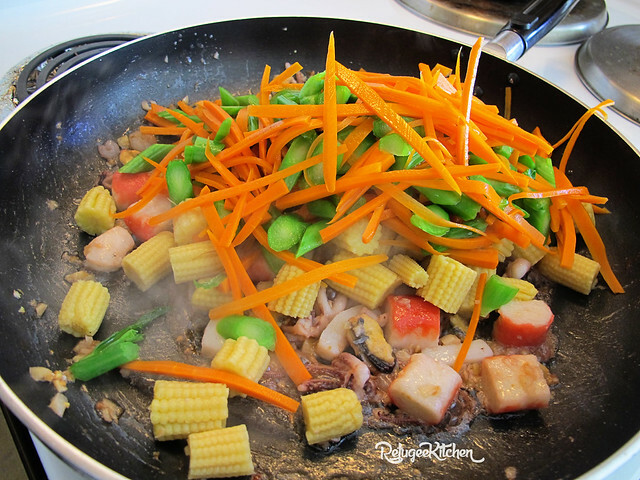 Add gai lan stems, carrots and baby corn, saute for 1 min. If you haven’t done so, drain noodles. 6. Hold on tight, these next steps happen quickly! Turn heat to high, add sauce and bring to a boil. I know that seems like a lot of liquid, but remember, we need to cook the noodles and have enough liquid for gravy! 7. Add drained noodles and toss for 30 seconds. Make a well in the middle and add corn starch slurry. 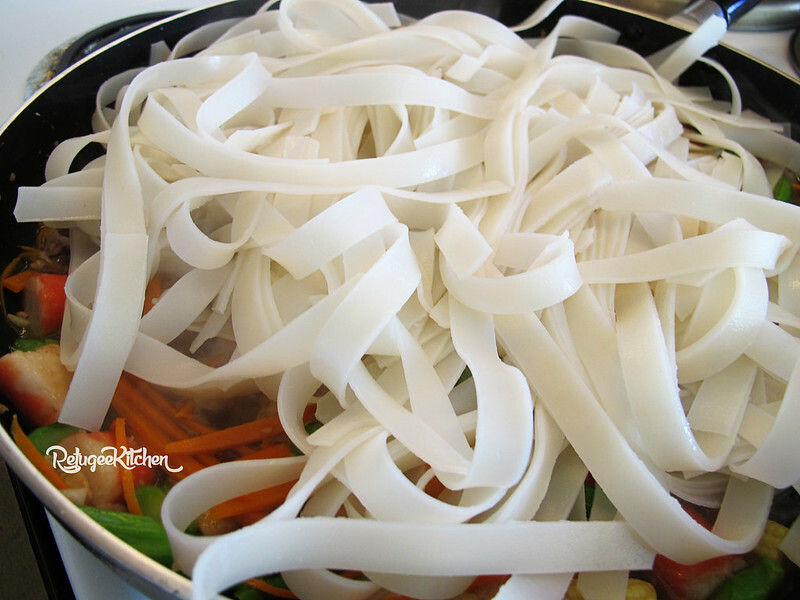 Continue to toss noodles as sauce thickens, another 1-2 mins. 8. Turn heat off, add garlic eggs, gai lan leaves, scallions and lemon juice. Toss lightly to mix. Taste for seasoning, add extra soy sauce if needed. 9. Serve to your very tired baby sister and cuddle your nephew tight as you listen to his soft breathing and her loud noodle slurping. Vibing out to Madonna as I wrote and edited pictures. Absolutely! There’s a Thai dish that’s also similar called “Rad Na”. I normally prefer my noodles a bit darker but truth be told, I had maybe a tsp of Dark Soy! Gah! I just revealed my secret. 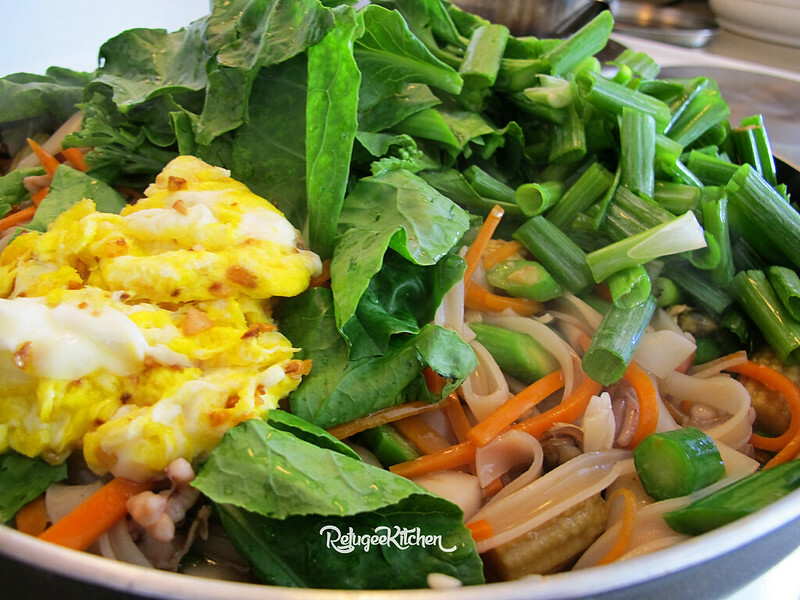 I think I’ll make the original version with beef and perhaps home-made ho-fun noodles at a later date. Just for contrast. If you you ever get here, I’ll cook for you.. or at the very least take you to a yummy Khmer restaurant! Please please keep posting!!!! I found your lemon chicken soup and it tasted exactly how my mom made it!! Thank you Monique! That means a lot to me!